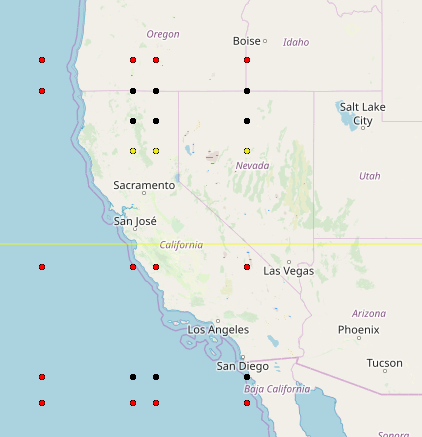 California has not really seen any decent earthquake for sometime now, so those stress points here may not be giving anything worthy. We will see. Similarly the colour code is Red for 5th Dec., Yellow for 6th December and Black for 7th December.